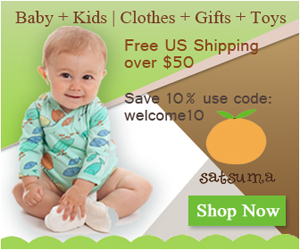 Infants to toddlers is the place where you will find the baby shower gifts, the best baby gifts , as well as help the new mom find the best baby items, and accessories, for her baby, as well as the nursery. Infants to toddlers is for NICU infants and preemies too! Check out Project Nursery for nursery cribs, mattresses, nursery decor and more!!! Moms soon learn that babies don't only sleep and eat. So how does she soothe her fussy baby? Baby soothers not only calm baby, but they entertain as well. Of course, there are nice gifts for nursing moms. Here is a special deal for great gifts from the Personalization Mall. Not only can you get a great personalized baby gift, but you can also get one for the new mom. Babies grow fast, and it seems like overnight that they have turned into a toddler who no longer needs to be fed, but wants to feed themselves. Oh, those messy spills. What does a mother do? Infants to toddlers can provide products which numerous moms have used and are satisified with. One issue mom has is those leaky diapers, and of course the child who has middle of the night accidents. You can solve issues with a wet mattress, not having your child lay on plastic, by using a cotton mattress protector. Bullying starts even a very young ages. Kids love pets. Juno is wonderful in telling your child about bullies and what to do. Before you get involved with voice shopping, read this article that tells you how it works, but most importantly does not work. I adopted a min pin from someone who could not care for her after the birth of her son. The family moved to a new home, and in less than 2 weeks, tragedy struck! Please, if you don't know CPR, learn it.